The iPad Kiosk acts as a device that allows employees to start and end their shifts. We've updated the iPad Kiosk so that it caters to different regional language specifications. You must first set up the iPad Kiosk. To set it up, you can follow the guide here. 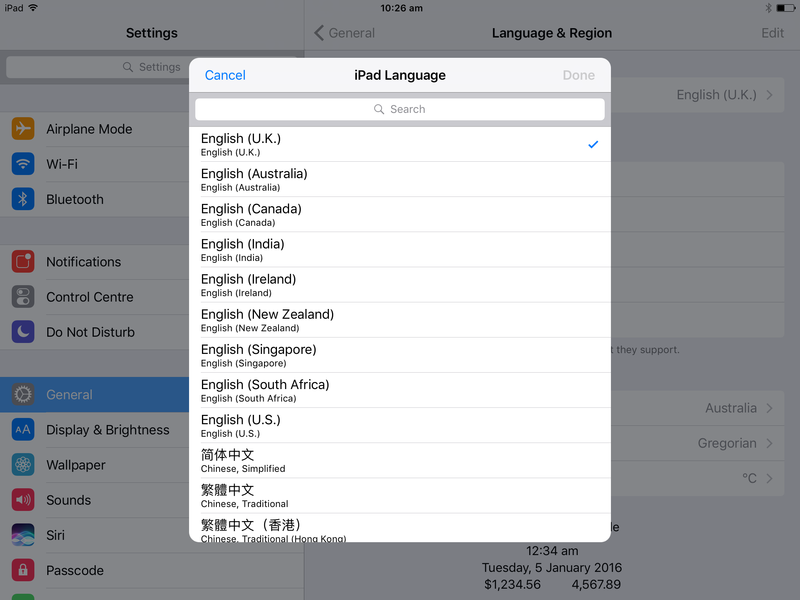 This guide will show you how to change your iPad Kiosk language. Navigate to the Settings page on your iPad. 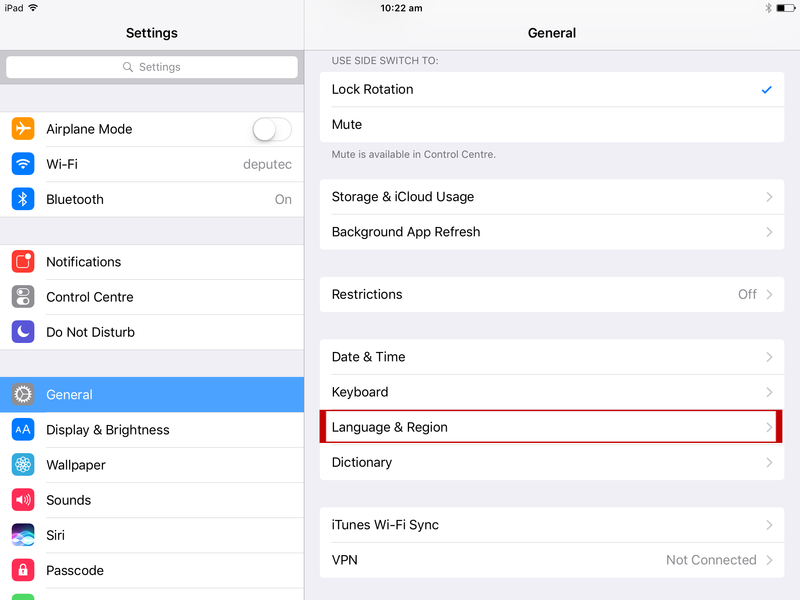 From here, tap 'General', then scroll down and press 'Language & Region'. 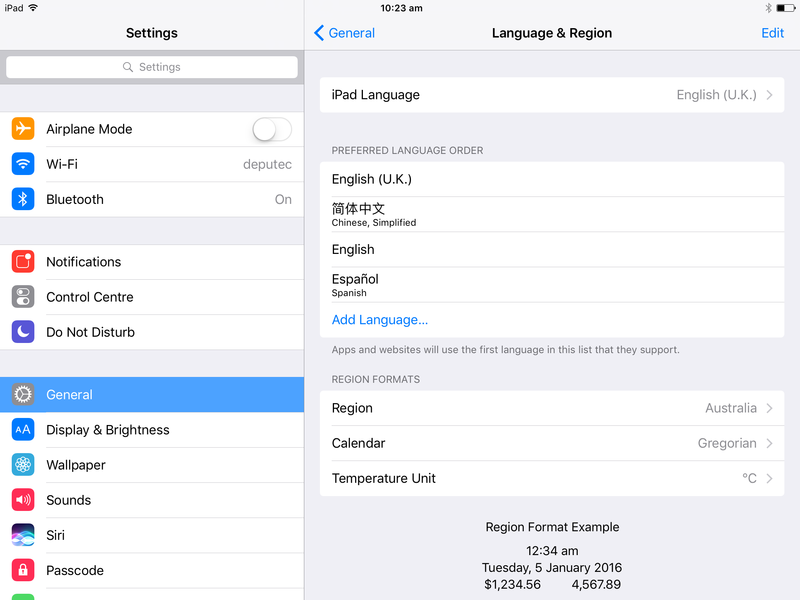 From here, tap 'iPad Language' and selected one of the supported languages as listed at the top of this guide. 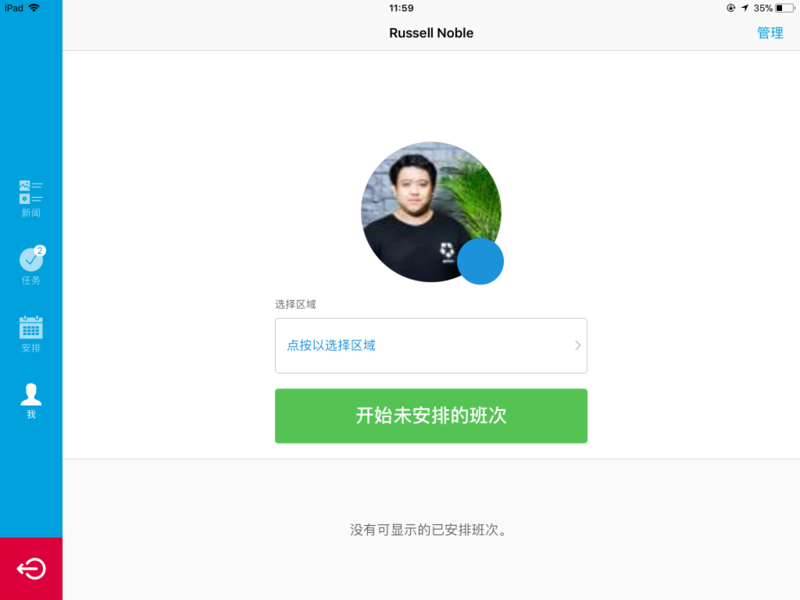 For the purposes of this guide, we will select 'Chinese (Simplified)'. Tap 'Done' when you have selected your desired language, then press 'Continue' when prompted to confirm the change. Now open the Deputy Kiosk app and you will find that it has switched over to the language you have selected. Note that if you have entered any data in English, it will appear as such, including business and location names, and employee names. 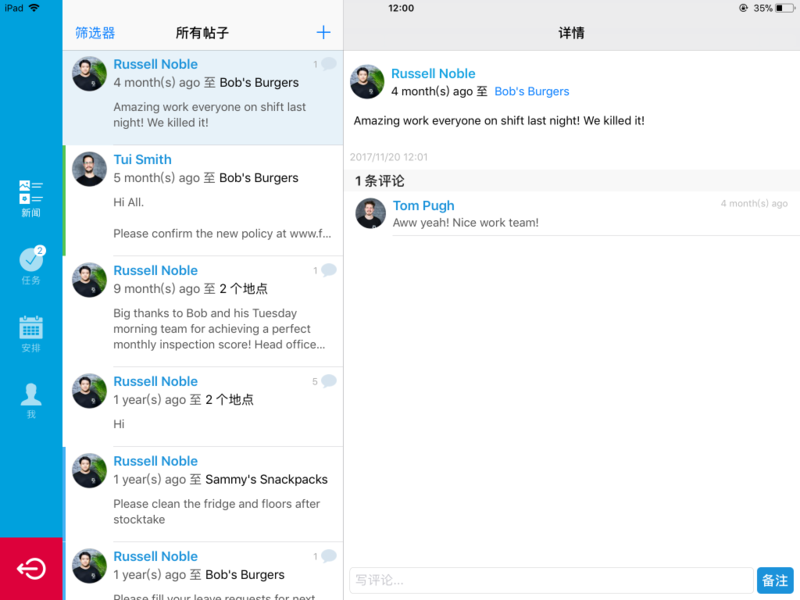 All the current wording however, will have changed to the new iPad language. 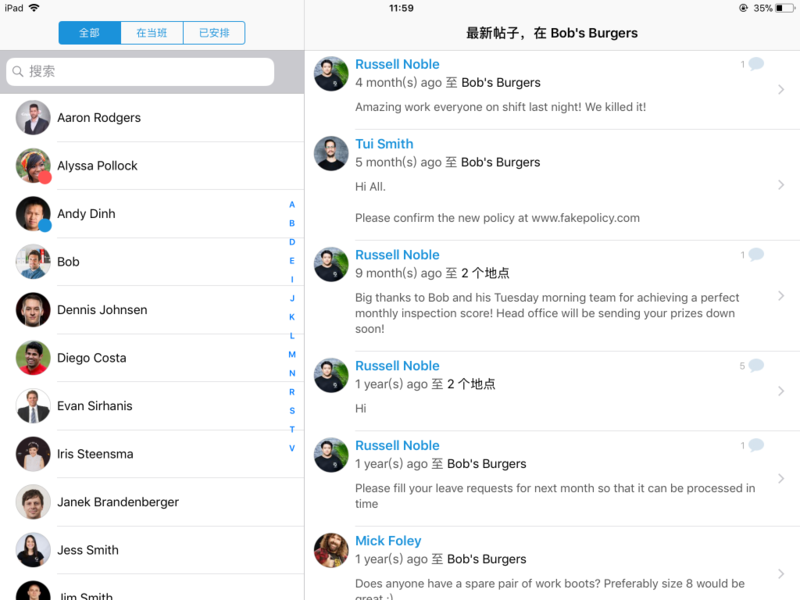 Note: Changing the language will also include auto-correct in the selected language.